The DC fan, latching Reed switch commutator I just finished designing could run any of Joe's motors. It's much easier to relocate the trigger magnets on the tube then it would be to tailor a copper strip. Every individual Newman motor is unique and needs it's own personalized commutator timing arrangement. Last edited by Allen Burgess; 08-31-2017 at 11:52 PM. Still working on commutator. I picked up good tip from email friend on replication methods. To build parts so that changes can be made if possible. So my disc commutator can be changed to add shorting segments. The bad thing is I'll never get that Newman effect with this desktop size unit. So any tests results may not be helpful to anyone here. Hope to finish today with that part and move on to wiring the coil to complete the setup. Newman's "Short" contact on his commutator feeds his source batteries the same way you see me charging batteries below: Aaron states that "It's the voltage differential between the positives", not the power to ground that completes this self charging circuit". My reverse charging effect neutralization pulse alternator works the same way. One contact short back to to source. Last edited by Allen Burgess; 09-04-2017 at 04:07 PM. It will be that for myself. Very laborious to get this "desk top" size Newman Machine to a testing stage. Finished the commutator disc and now mounting on platform next to coil. It looks very "steam punkish" with the copper and white cutting board plastic. I built one barrel shaped and disc shaped so could see which is easier to build, use, and maintain. No not a production engineer, but think it wise to try both. Not sure yet the wiring/connecting of coil to get motoring and generator production without adding generator coils. Harvesting the "shorted" spikes may not help with this size coil. The coil is 18 strands in parallel. I will test different wiring schemes to see what the "test will tell". Hey look a delightful cup of coffee in front of me needing a warm up and sipping cause it's cool outside. Edit: The barrel commutator will be used with two coil scheme, while the disc comm will be used with single coil scheme. As per the Geoffrey Miller pdf. The flyback controlled by capacitors. Last edited by wantomake; 09-04-2017 at 07:57 PM. The power that travels back to the battery from my oscillator is summed algebraically; Therefore, we subtract the source power from the power that's generated in the electro-magnet from the regauging, and the remainder is the charge that replenishes the battery. No power ever reaches the coil from the battery after the first pulse. The second pulse is generated by the magnet coil itself, and the excess passed back to source. The same relationship applies to the "Newman Motor" commutator short. The Neutralization Pulse Oscillator is a "Newman Motor" short circuit hybrid. I have reached infinity with that simple a design! The Reverse Charging Effect video is posted above in comment #393. Last edited by Allen Burgess; 09-04-2017 at 04:21 PM. The assembly has gone ok. And did get to try a basic machine run. The multi-strand coil wrap is hard to clean, connect and measure but can be done. I only used 5 strands of wire to try a machine run. The disc works good. I used brass strips from Lowes as comm brushes. Some small sparks but believe more 9 volt batteries is needed. Don't own a variac so can't use ac then FWBR to dc power source. Like vidbid stated, want to be a purist and use battery power just as Newman did. Back to Lowes for more batts. Remember, Newman's batteries were deader than door nails. The voltage on my 12 volt was down to 8.52 when I performed my oscillator test. The commutator short "Superposition" charging can't happen if the battery source is higher in power then the output from the coil. Sorry I'm not familiar with "superposition" charging. Also I'm not using a "short" on my comms yet. As I've posted, this is only a basic machine build to help me to better understand the design and operation of this machine. I'm replicating solely from Geoffrey Miller presentation pdf. As my knowledge base is low in electronics, electrical, and FE. I can build and still gain understanding in all the above. What I'd give for an engineering background. Like Popeye said, I yam what I yam. Superposition merely means higher charge level; Current always travels downhill from the higher charge source to the lower charge destination. Last edited by Allen Burgess; 09-05-2017 at 09:13 PM. How is your build going? I know your commutator is including the "shorting" segment. Any results would be good to read. Mine aren't encouraging so far. I wound my coil as two separate coils. Top and bottom of the pvc 4" union piece. I wanted to use one coil as motor and the other as generator. But no motoring yet. Using 17 9 volt batteries in series to power the machine. The timing is set. Good contacts on commutator. Only thing can figure is the coil needs to be re-wound. I think that I'm going to use a flat copper disk as the commutator. I could center-tap it. Then, slot out the places for the contacts with epoxy holding the contacts and also providing the non-conductive material for the spaces. I'm still working on my design. Coils will be provided by microwave oven transformer high voltage coils. Not sure as to what to make the armature shaft out of. 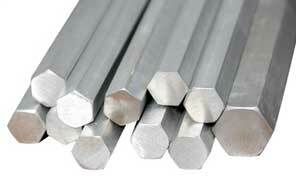 I was thinking fiberglass for its nonmagnetic properties; however, Newman said to use steel hex bar. For the slip rings, I'm still considering my options. Maybe I can find some off an old motor. For the magnets, maybe center-hole type Neodymium magnets could be attached to a hex bar shaft. Anyhow, that's where I'm at. The book is a good starting place, no doubt. I think a good finishing place is building a Newman motor based on Big Eureka, specifically, the Big Eureka commutator. There's only two rotating contacts, though, they are segmented. I think that there are about four segments per contact, but then there is the copper shorting band (so-termed by me,) and I see not mention of that in his book, and that would be because it came later, I believe. So, there's my two cents on it. You may want to review the presentation of Geoffrey. Geoffrey states clearly that only 12-3 and 6-9 o'clock are interconnected with the small commutator rings, And that's all, he said. So, you may be right about the Big Eureka not having an internal commutator, but if Geoffrey is right (and I'll assume he is) then you need to adjust your drawing. The two pairs of copper segments were connected through the bridges you draw, but not all four. Something like this: A1-A2 and B1-B2. The voltage applied by the batteries when the rotor is in one of the FIRE segments will generate a big electromagnetic field which interacts with the magnetic field of the magnets on the rotor and create a torque, hence it starts turning. So, we would have four FIRE segments and four BLANK segments. The absence of SHORT segments is because Newman used capacitors that were helpful in suppressing the sparks. No need for complicated commutator design anymore. The capacitors are charged when the coil discharges its stored energy during the BLANK segments. Actually, the coil with the capacitors and the inductive reactance (or resistance when the rotor is not turning) represent a simple RLC circuit. I shall give your statements consideration. So you're planning the long motor build. That's were I got the idea to use two coil setup on top and bottom. Also from the videos posted here. That guy was using one MOT coil on the bottom of his unit. I see you must follow the established setups for this machine. The round "upright" machine must be built certain way different from the long or horizontal machine. Last edited by Turion; 09-06-2017 at 03:00 PM. Correct. My design is base on Newman's Big Eureka, only mine will be a desktop model. Initially, the HV-MOT will be lower and then an additional HV-MOT for upper level later. I thought about using an old monitor fly-back yoke HV transformer to produce the HVDC, but I'm not certain if there will be enough current to do that. We'll see. Last edited by vidbid; 02-15-2019 at 05:58 AM. Good picture with diagram. Hope all goes well as you build. I will be making adjustments to get better results. The first machine I replicated long ago ran with just a single reed switch. One 9 volt battery. The coil was single wire winding of 38 awg from a MOT primary coil. Back to coffee and thinking. 2. Patrick J. Kelly eBook edition 2017 Chapter 11, Joseph Newman's Motor. The above would mean that, if true, instead of having to create a coil with N windings, we could achieve the same results using the mentioned type of wire but N/3 windings. The same occurs to me with the magnets used by Newman. The first models used circular ceramic magnets, but the he changed to the long models with the hexagonal placed magnets along the ax which were neodymium type magnets. 2. create an amount of DC pulsed inputs to the coil by the FIRE segment. The SHORT segment was eliminated by the use of the capacitors over the coil which suppressed the Back EMF. So, it is obvious this commutator could be improved on too. Sharp high voltage and supershort DC pulses should improve the alignment of copper atoms in the main coil. Also, the energy that goes from the coil into the capacitor when the magnetic field collapses could be used to be fed back to the input source using Bedini SG circuitry. Or, when using two battery sources, one would be the input battery and the other would be recharged, and after a while these two batteries could be swapped so that the system becomes a self-running device. Interesting facts and thoughts I think, while progressing. What if the rotating magnet where placed inside the coil? This might explain how Newmans motor works and why he is shorting the coil after each impulse? Newman Motored Explained world wide. Lowering the capacitor's value helps to more fully suppress the spikes of amps drained from the battery pack. But it also makes it increasingly difficult for the simulator to process an increase of data points to trace. Lowering the inductance on L2 (representing the permanent magnet) helps increase voltage on the coil, L1, but at the expense of draining more amps from V3. I guess this implies a smaller magnet of super duper strength? 16k H and 50K Ohms on the coil. 45 & 1/3 duty cycles per second. I rounded upwards to 50. 304 volts in. I rounded downwards to 300. 667 volts on the coil. I achieved 660. 1.2mA in. I achieved a baseline of 45-50 amps drained from the battery pack, at V1, spiking at 600mA twice per duty cycle at the start and end of each self-short on the coil. Newman's device had an average of 50 mA spikes on the coil. Mine has 21 mA non-spiking curved waves. Newman Motor is Powered by its Rotating Magnet, not by Batteries! Last edited by Vinyasi; 01-06-2018 at 03:34 AM. Very good post. Thanks for the videos. Very good content. I also like your video on the Tesla Special Generator, Viz. a vintage watt-hour meter's use as a dipole. I appreciate your conversational style of videos, and the insights offered are very eye-opening. Oops. Corrected Simulation and Enhanced RPM with neon bulb. This was a flawed simulation which is evident in the zero input of V(in). The following attachment and videos are corrected and enhanced with a higher RPM and the addition of a neon bulb making possible the reduction of the simulated magnet's input voltage to a wee 255 micro volts using a mere 700 pico henries to transfer its spin energy to the coil. The total input from the spinning magnet is a mere 8 watts to succeed at negating the amperage on the battery pack. Despite this latest simulation requires a tightly coupled spinning magnetic field and the coil, it may be possible to build this using the design exhibited in the attachment below along with the latest videos. Discussing this topic at the Straight Dope forum inspired me to alter this simulation to have more negative voltage on the coil so as to facilitate recharging of the batteries. I have to stop focusing on producing a mere negative current on the batteries if I want them to charge. So, I upped the magnitude of voltage to the absolute value of the batteries plus ten percent times negative one. What if a perpetual motion machine requires that we separate high amps paired with low volts on one side of a circuit - whose division is maintained by an isolation transformer or its equivalent - while on the other side of this divider is the opposite condition: low amps paired with high volts? This is what Joseph Newman has managed to do: he puts high volts in the battery pack and reduces the amps down to a very low negative value, while also demonstrating high current with low voltage in the rotating magnetic field of his spinning permanent magnet. The massive copper coil is not the source of energy for his device. It makes isolation, described above, possible. This is what analysis of my simulations of Newman's device shows me: +60 kilo amps RMS at the rotating magnetic field versus +300 DC volts at the battery pack. Additionally, the battery pack exhibits a little over one milli amp of negative current. The spinning magnetic field requires a mere +255 micro volts injected into the coil to sustain this condition (although only -180 micro volts RMS manages to exit that energy source despite its input of +255 uV). That's a dipole of sorts. Not what has been repeated around for several years, now, as coming from the lips of Tom Bearden (I don't know; maybe he, or someone else, has said this already?). BTW, I do RMS a little differently then the norm. I take the sign value of the average and attach that to the absolute valued RMS. And then when I tried to kill this dipole by shorting it out, you know what happens? I get a huge positive (not negative) draw of amps at the battery pack equal to the amps in the spinning magnetic field of the rotating bar magnet/s. Such a condition would surely kill off the amp-hours of that puny string of nine volt batteries in a heart beat. That's why there is the need for isolating the two halves of his circuit from each other: to maintain their distinct differences so as to perpetuate the functionality of his device. I eliminated the self-shorting of the coil during the last 20% of each duty cycle due to it isn't needed anymore now that I have a capacitor in parallel with the coil/s and a neon bulb alongside of the capacitor. Taking away the self-short actually produces a mild gain! And besides, the only purpose for that self-short was to reduce arcing at the commutator. That has already been accomplished by Newman's suggestion, posted in later editions of his book, to use a parallel capacitor for this very purpose. I think the neon helps the capacitor do its job so efficiently, that the self-short gets in the way of optimization. Last edited by Vinyasi; 01-15-2018 at 02:54 AM. Sorry, I'm not on track with this topic but my intuition tells me that Newman machine is just a bigger version of Richard Willis first prototype (or rather Richard Willis incidentally constructed his first prototype in fashion similar to Newman machine). Try to find photos and compare, you will have very big help for successfully building Newman generator. Last edited by vidbid; 01-15-2018 at 07:37 PM.